What are Cosmeceuticals & should I be using them? Using cosmeceuticals, you can get the same skincare treatment as you would in expensive spas and clinics in the privacy of your own home! If you want to go beyond pampering and really see a difference in the appearance of your skin, then cosmeceuticals are the way forward. Cosmeticeuticals are skin treatments that give visible results and provide added benefits that go far beyond other types of skincare products. The word "cosmeceutical" entered the general vocabulary in the 1990s. Derived from a combination of the words "cosmetics" and "pharmaceuticals", the word describes a non–prescription product for cosmetic use containing high grade ingredients into your skin, offering dramatic results. These professional grade products have been scientifically researched and tested to ensure they actually have an effect on the skin. A far step from the cleanse, tone and moisturise regimes of the past, they are about addressing skin concerns at a deeper level and protecting your skin from external forces, such as the sun and pollution, which cause premature ageing. High street cosmetics selling anti-aging products containing antioxidants, peptides and retinols don’t contain high enough percentages of these active ingredients to make any real difference to the skin. Also they are often full of chemicals, which irritate the skin. What active ingredients are in Cosmeceuticals? Products which contain AHAs such as glycolic acid and BHAs (beta hydroxyl acids) such as salicylic acid, increase skin exfoliation by shedding the skin's top layer of dull, dead cells, helping the skin to appear smoother and feel softer. Research also shows that it can improve collagen production by stimulating cell turnover and improve hydration by enhanced moisture intake. Must be used with an antioxidant and a sunscreen to protect the skin. Great for: Acne, pigmentation, sun-damage, fine lines and wrinkles. Why not try Jan Marini Biogylcolic Face Cleanser or DermaTx Exfoliating Cleansers to resurface and hydrate your skin? Leaving it soft, smooth and radiant. Look at other products in the Jan Marini Bioglycolic range. Superior Antioxidants protect your skin against UV damage and other environmental factors that cause aging. Antioxidants packed with vitamins C and E also stimulate collagen production, brighten skin and have anti-inflammatory properties. The Jan Marini C-ESTA range contains a superior Vitamin C formula for anti-ageing benefits. NeoStrata and Mene and Moy products combine Glycolic acid and antioxidant ingredients in their products. Peptides are one of the hottest advances in skincare today — and with good reason. Composed of long-chain amino acids, peptides are the building blocks of proteins. When applied to the skin, they’re believed to support collagen production. Other benefits include reducing inflammation and speeding up the healing of tissue. Some trade names include: Matrixyl or Argireline. Hyaluronic acid is a natural substance already present in your body. Once in the skin, it works by creating volume. It gives natural volume in your skin to lift and produce new firmness, resulting in a healthy, youthful appearance. This skincare product is an effective moisturising agent, helping the skin retain moisture. Great for: fine lines and wrinkles. Why not try: PCA Skin Hyaluronic Acid Boosting Serum or Medik8 Hydr8 B5 serum. Retinols are a potent and effective tool for clearing and maintaining problematic skin. Pure vitamin A works continually increasing new cell regrowth and rapid exfoliation of the skin. 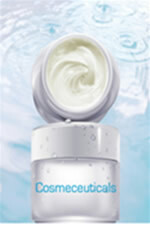 It diminishes the appearance of fine lines, wrinkles and the treatment of age related skin changes. It's important to remember that sunscreen must be used every day. Caution – Can cause skin irritation and not recommended for use if pregnant. Great for: Acne, blemished and sun damaged skin. Why not try: Jan Marini Age Intervention Retinol Plus or Medik8 Retinol 3TR. Growth Factors take your complexion beyond AHAs, Retinols and Topical Vitamin C to improve the health and appearance of your sun damaged and aging skin without burning, peeling or irritation. Scientists are developing ways to hinder the ageing process by growing new skin more rapidly. They are using growth factors as a way to maintain skin's youth. Growth Factors or Proteins promote the organisation and maintenance of cells and tissues within our bodies. When applied topically to ageing skin, growth factors can speed cell turnover, increase skin thickness and restore luminosity. Natural growth factors can stimulate stem cells to damaged areas to reproduce and provide the necessary boost to repair the damaged cells, which results in new tissue and a decrease in the appearance of fine lines and wrinkles. Great for: All skin types. Why not try: AQ Skin Solutions GF Active Serum. Remember low concentrations in typical high street cosmetics may not be strong enough to make the dramatic improvement you are looking for. For free skincare advice or consultation please contact us.